Taking a dip (forgive the pun) into other books written by an author you've read is sometimes a little daunting. You have these expectations of this author's writing, characters and story, and there's always some tiny part of you that worries, "What if I end up disappointed?" I read the first two books of Kiera Cass's "The Selection" trilogy, and immensely enjoyed myself! 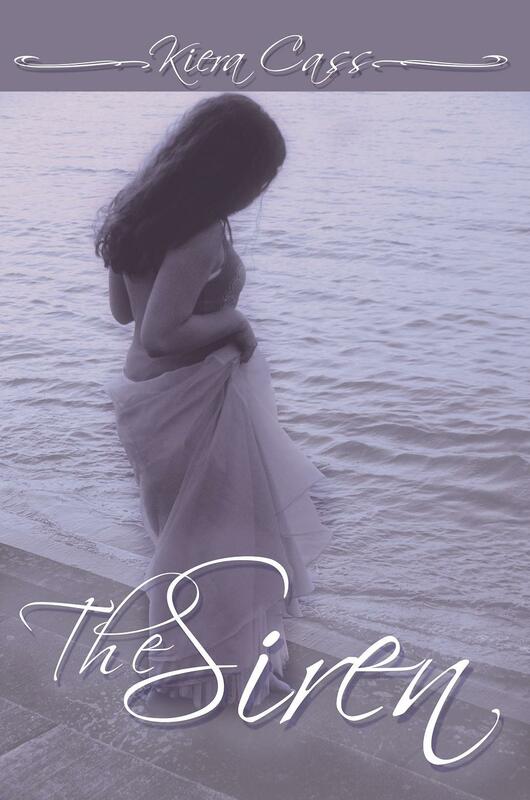 I was a little iffy about picking up "The Siren", an older book Ms. Cass had written, but found myself wrapped up in an entirely different story that's interesting in its own way. Don't form any bonds with humans. You can speak to your sisters, and can always commune with the Ocean, but your voice is deadly to humans. You are, essentially, a weapon. Kahlen has lived by these rules for decades now, patiently waiting for a life she can finally call her own. Ever since a fatal boat trip that left her family dead, Kahlen has lived a lonely existence as one of the four sirens, a sisterhood of beautiful girls who help the Ocean feed. But when Akinli, a human, enters her world, she finds the vast Ocean increasingly restricting and can't bring herself to live by the rules anymore. Suddenly the life that she's been waiting for is nowhere near as important as the one she's living now. 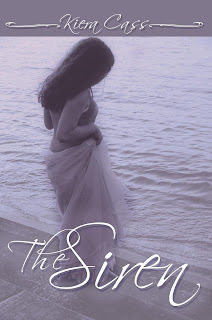 What I really enjoyed about "The Siren" was its unique take on mermaids--not to mention, these seafaring mythological creatures are perfect reading material for summer! The concept of a sisterhood of sirens who are saved from the brink of death by the mysterious Ocean is something I haven't encountered before, and it was exciting to see how these humans-turned-sirens dealt with such a life-altering change. One of the central issues Kahlen and her sisters deal with as sirens is their responsibility of feeding the Ocean; essentially leading humans to their watery deaths by using their enchanting, deadly voices. At the same time, the sisterhood of sirens have access to a life of luxury, spending their limitless time and money in exotic places and indulging in the richest of foods and clothing. Though whether the advantages outweigh the disadvantages is another question entirely. Unfortunately, one of the things that did disappoint me a little was Kahlen herself. Sure, she's meant to be beautiful and compassionate, but she's also crazy selfish too! I mean, I would understand why she'd want more for herself, since she's forced to live a lonely life, but still. For example, after falling head over heels in love with Akinli, Kahlen concocts a not-so-genius plan to stay with this mortal boy she loves: She'll stay away from water, marry Akinli, then fake her death a few years later after living a happy, married life. Um, what?! She'd put this boy, whom she supposedly loves with all her heart, through the pain of losing his wife? Not to mention the fact that he's already dealt with death of his loved ones in his life. Yet fully knowing this, she decides that she has to have him for herself, even if it means that he'll get hurt. Eh. A major shake of the head there, Kahlen. Akinli, however, is a pretty good love interest for Kalen in the story. He's sweet and kind, if a little bit on the sensitive side (I think he's cried more than Kahlen has in the book), and falls for Kahlen despite the fact that she can't/won't speak. It takes a huge heart to do that. The other characters in "The Siren", like Ben and Julie, Akinli's cousin and Ben's girlfriend respectively, add an extra touch of sweetness and familiarity to Kahlen's experiences as a human, and they without a doubt create a homey, family feel. Kahlen's siren sisters are also great characters to read about, especially because they each have their own distinct personalities. Take, for example, Elizabeth. She's loud and wild and goes around stealing cars and boys' hearts. On the other hand, Miaka is the gentle, meek, artistic type who grows into herself as the years progress. Aisling is cold and distant, but, as is revealed later on in the novel, for a reason. Another disappointment I found in "The Siren" was the narrative voice. Told from Kahlen's point of view, the narration was a little stilted and awkward. I think the main reason for this is that it sounded really 'tell-not-show', if that makes any sense. In other words, the narration seemed like it was just recounting the past in a rather orderly fashion, instead of showing to the readers what's happening to Kahlen. Maybe it's because the first bunch of chapters take place over a span of years, so you're fast forwarding through a lot of time in fewer pages. Or maybe it's also because there was relatively less dialogue, since Kahlen couldn't speak to Akinli and the other humans lest she bring them to their deaths. But that was actually kind of sweet, since it lead to an incredibly romantic, genuine romance between her and Akinli. Either way, the narrative voice was just a little iffy and not as flowing as it could've been. All in all, Ms. Cass's "The Siren" is a decent novel with an engaging cast of characters and a unique take on classical mermaid folklore, though it could've been even more exciting had the heroine not been so darn selfish, and if the narrative voice had been a little smoother. Nonetheless, I'd say it's worth a read if you're a fantasy YA lover!